It&#x27;s cold and raining, and Spring feels very far off... So, I&#x27;ve been looking at my garden photos and found some shots from a very fun garden in Portland, OR. 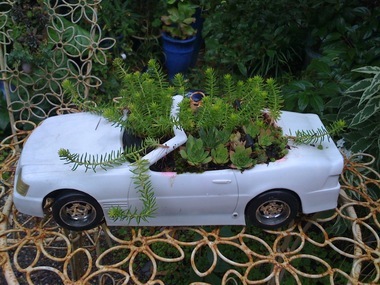 Container gardening is so much fun because you can do almost anything! 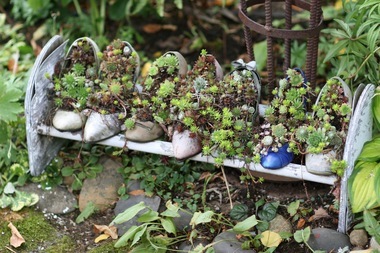 Here we find a new use for a worn out pair of favorite shoes! Following on the same theme, a purse and shoe combo for an elegant, on the town look to your container gardening pursuits! An old favorite toy becomes a curiosity in the garden. 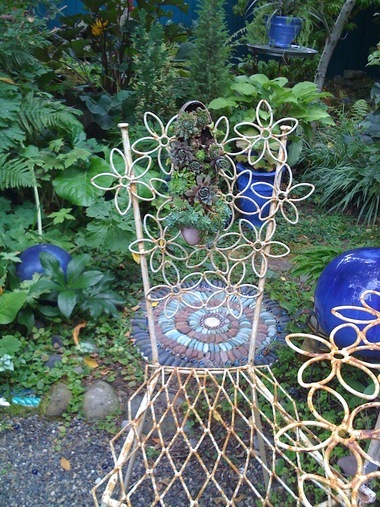 Succulents planted on the back of a wire gardening chair. 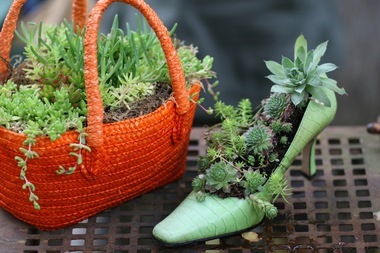 I love the succulent shoes and purse. Would you mind if I use your photos on my classes? I do succulent classes in Santa Clara County in California and would love to use these as examples. I will of course give you credit for the photos . Thank you so much. 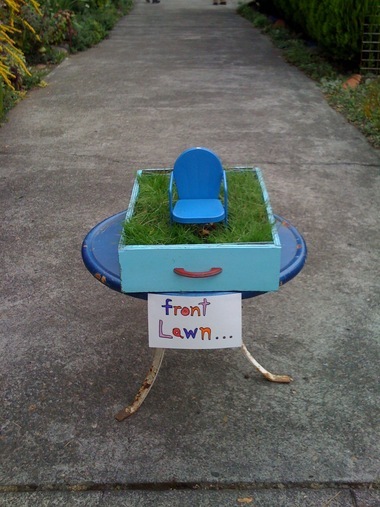 What a fun garden tour that must have been - surprises lurking everywhere.